The N. Mathiatis Project comprises one exploration licence (1.7km2) that includes the former N. Mathiatis pyrite mine that produced 2.1Mt of pyrite at 30 – 35% sulphur and 0.2% copper between 1965 and 1984. With a historic emphasis on pyrite production, lower grade copper and gold mineralisation was not a priority for the former mine operator. These potential low-grade bulk targets along with strike extensions to mineralisation will be the focus of exploration. 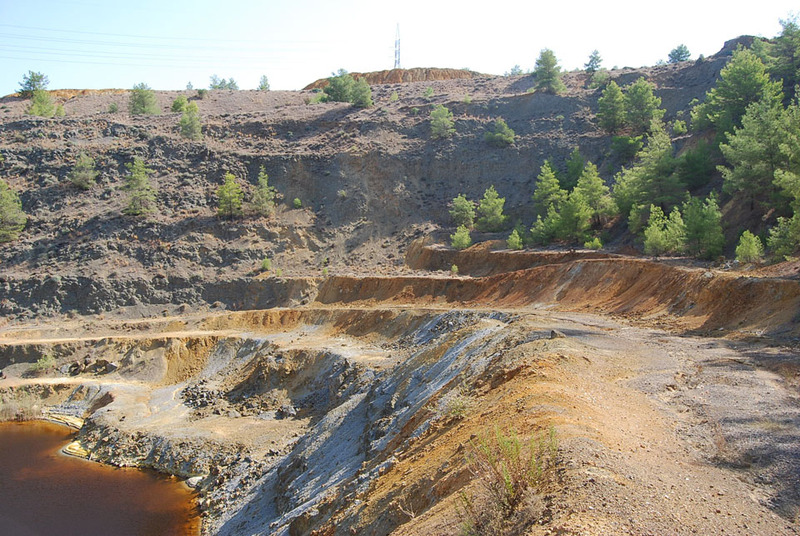 The N. Mathiatis Project area comprises a single licence that covers the volcanic units along the north-eastern flank of the Troodos Ophiolite Complex incorporating the N. Mathiatis mine. Historic reports state that N. Mathiatis mined 2.1Mt of ore at 0.20% Cu during the recovery of the Mine’s primary target, a massive pyrite body. “Pure” pyrite ore required a copper grade of <0.15% Cu whereas the massive pyrite body was reported to contain 0.50% Cu. 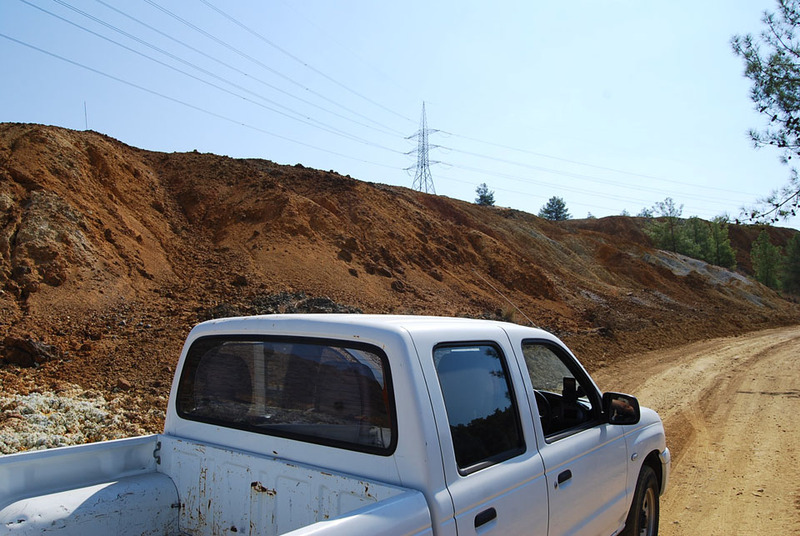 There is a substantial suite of dumps of varying age located around the top of the open pit and Caerus will evaluate these dumps for both residual low-grade copper and gold mineralisation. Mathiatis and the neighbouring S. Mathiatis mine are reported to have produced 26,691 ounces of gold and 154,719 ounces of silver from near-surface mining between 1936 and 1938. In 2007, five samples were collected across the 75 metre wide massive sulphide at the base of the open pit, and, returned consistent grades of 0.36 to 0.48g/t Au and 0.06 to 0.19% Cu. In the altered volcanic rocks around the massive sulphide body, five samples were assayed and returned up to 0.50g/t Au and 0.11% Cu. A review of drill intercepts from historic long sections through the Mine reveal substantial low-grade mineralised widths including 2.24% cu over 40m, 1.0% Cu over 70m, 0.47% Cu over 130m, 0.45% Cu over 80m, 0.37% Cu over 70m and, 0.33% cu over 13m. These grades have not been validated. Caerus will undertake a detailed review of the substantial database to generate 3D models to determine what portion of the original low-grade mineralised envelope remains in the ground and in the neighbouring dumps. No work has been conducted by Caerus on the N. Mathiatis licence at this time. The open pit was mined specifically for pyrite for acid production. Historic drilling provides evidence of both copper and gold mineralisation in a large mineralised system. Waste dump material will also be re-evaluated for recoverable metals.